Since Centrica’s demerger from British Gas in 1997, Grant Dawson has ‘made the role his own’, according to one energy partner. This includes leading the way with his advice on deals covering the full spread of power supply and generation, including Centrica’s joint venture with EDF Energy in 2009 and the acquisition of Venture Production. Janet Langford Kelly is revered as one of the leading in-house international lawyers on complex energy matters with 25 years’ experience in the industry. ‘I don’t know if there is any straight “path” to becoming a GC, it is often as much luck as preparation,’ she says. In 2010 Shell’s legal director Beat Hess retired, leaving big shoes to fill, so the oil major took the unusual step of hiring arbitration specialist Peter Rees QC. ‘If you cut Graham Martin he would bleed Tullow Oil,’ says one leading energy lawyer. Martin is clearly committed to a company that he has been associated with since his private practice days at Vinson & Elkins in the eighties, which has exploration and production assets in 23 countries, including Africa, Europe, South Asia and South America. 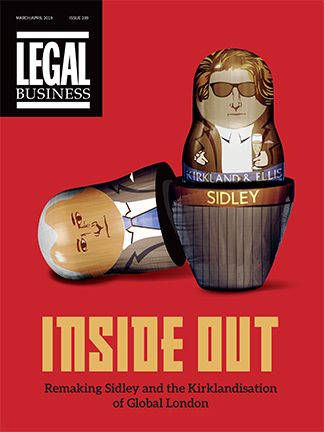 Andrew Carr is modest about the pressures of being one of the most high-profile general counsel in the country, but few industries have experienced the dramatic swings and roundabouts of the nuclear sector. It is important for Carr that external counsel understand the unique demands of the industry. Few general counsel are as well-known outside their industry as Rupert Bondy at BP – he is a clear example of a legal director that operates in a secretarial rather than a GC role. Following the Deepwater Horizon oil spill in the Gulf of Mexico in 2010, Bondy oversaw the company’s risk management strategy, effectively steering its emergency response from the beginning of the crisis through to the eventual financial settlement.